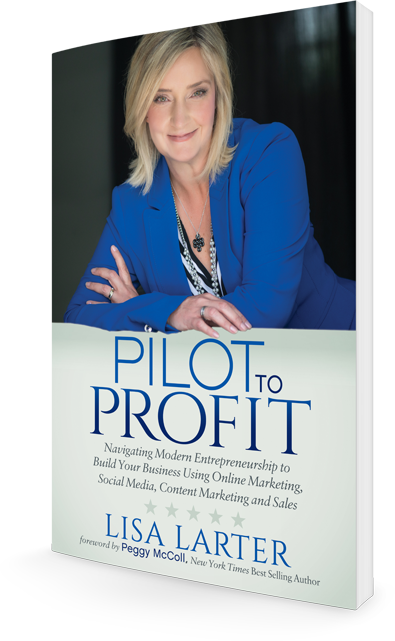 Read more reviews of Pilot To Profit and order your copy at Amazon. Want to write your own book? Get a copy of my chapter outline and a template in your inbox right away so you can create your own book! By clicking "Sign Me Up!" you are opting-in to receive email marketing from me. Don't worry, you're able to unsubscribe at any time if you don't find value in the content I send, but I'm confident that you will. © Copyright 2015 Lisa Larter Consulting. All Rights Reserved.